Taken from his parents as a child and equipped with biological and technological improvements, Khemri is now an enhanced human being, trained and prepared for the glory of becoming a Prince of the Empire. Should he die, and be deemed worthy, he will be reborn… Which is just as well, because no sooner has Prince Khemri graduated to full Princehood than he learns the terrible truth behind the Empire: there are ten million Princes, and all of them want each other dead. A thrilling adventure, an unexpected love story, and a powerful exploration of what it means to be human. 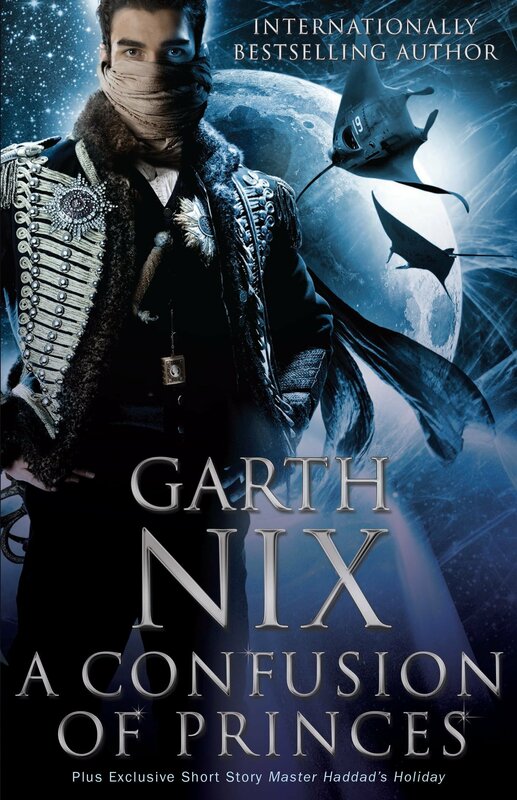 Garth Nix was born in 1963 in Melbourne, Australia. A full-time writer since 2001, he previously worked as a literary agent, marketing consultant, book editor, book publicist, book sales representative, bookseller, and as a part-time soldier in the Australian Army Reserve. 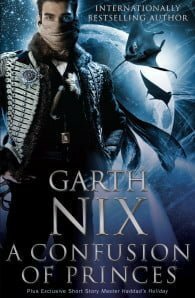 Garth's books include the award-winning young adult fantasy novels Sabriel, Lirael, Abhorsen and Clariel; the dystopian novel Shade's Children; the space opera A Confusion of Princes; and a Regency romance with magic, Newt's Emerald. His fantasy novels for children include The Ragwitch; the six books of the Seventh Tower sequence; the Keys to the Kingdom series; and the Troubletwisters series and Spirit Animals: Blood Ties (co-written with Sean Williams). More than five million copies of his books have been sold around the world, his books have appeared on the bestseller lists of the New York Times, Publishers Weekly, the Guardian and the Australian, and his work has been translated into forty languages. He lives in a Sydney beach suburb with his wife and two children.